it is 38 C here.. It's 35 deg C here. Right now it is 0 °C because I am feeling sleepy. I guess right now it's probably around 26 degrees C but It might hit 28 or 30 degrees by midday. @mheredge It is quite a normal temperature, isn't it? The weather here is really pleasant today with the temperature of 26 degree Celsius. 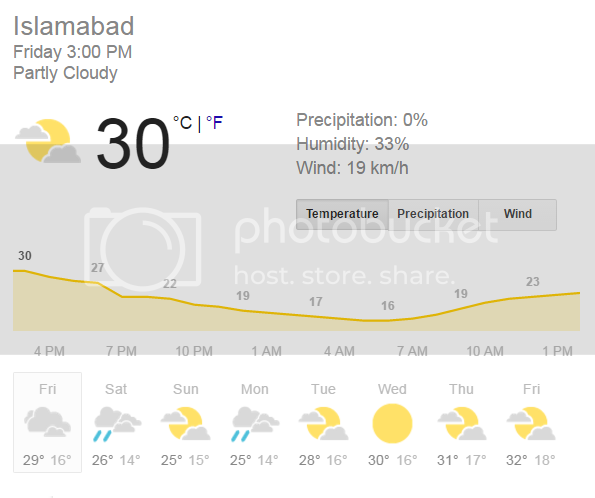 @kindgnice don't wish it as today it was really hot in Islamabad. Though, now temperature is 25°C that is normal. @dheeraj710 I have the same wish. I really want to go to Antarctica. I am thinking to make a plan with @mheredge in order to visit the north pole and enjoy the cold weather. Though it's a rare continent to visit, I'm in! @dheeraj710: I think Antarctica is where Eskimos are mostly located? @dheeraj710 Do you want to go with us? The BBC weather forecast is predicting 37C as the high for the next five days. Ugh. I hate the 39 degC recently. These days, temperature fluctuates between 30 to 35. There's the actual temperature and there's the feel like temperature. Here in Bangkok today there's a huge difference with the actual temperature closer to 30 degrees while the feel like temperature is more than 40 degrees. Tomorrow here in Philippines the expected temperature will be up to 41degC. Currently, it is 32°C which is not actually too bad. 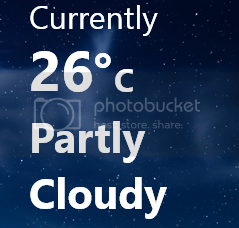 Currently, it is normal with 29°C. May be it goes down as it is partly cloudy today. Currently it is 40°C which is not a good news. It's 36 degree Celsius. A bit better than yesterday's temperature.